The iPhone & Android operating systems handle application access & management differently. Does either approach lead to more app customization? Apple’s iPhone operating system only has one user interface control for accessing applications. Apps are represented on one of several potential home screens as 57x57 pixel icons. To run an application, you simply tap the icon. 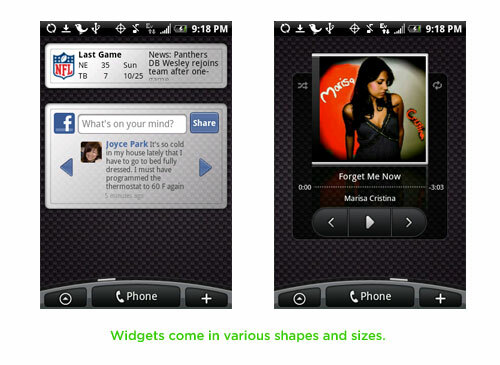 The application you selected comes forward and takes over the full display area allowing you to interact with it. If an application is not open, it is not running. 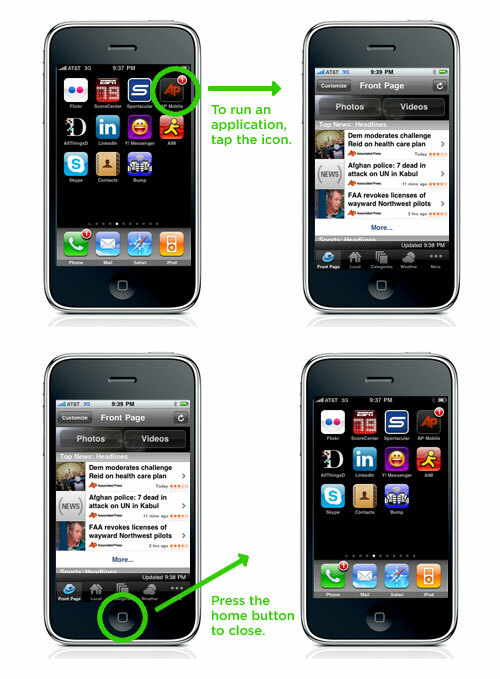 To close an active application, you press the home button on the phone and the application recedes. All applications on the iPhone work the same way. Any new applications added to the iPhone from the Apple App Store are placed in the next available home screen position where the application’s icon is displayed in a loading state. 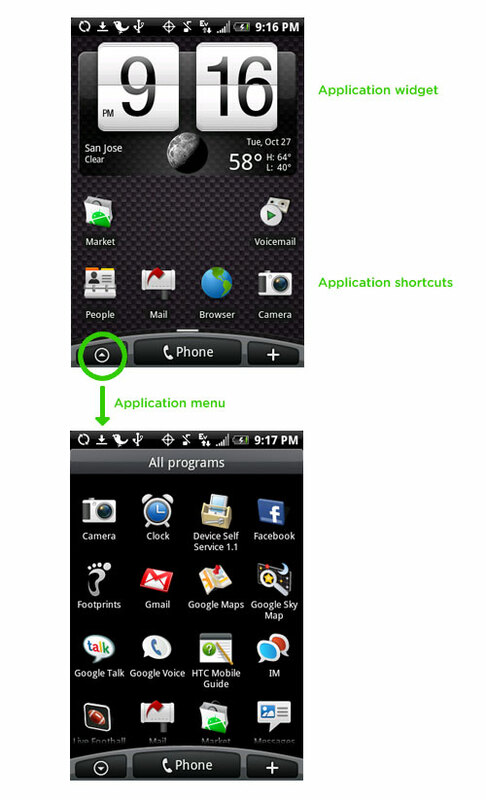 When adding an application to a home screen, you are given an initial choice of shortcuts, HTC widgets, and Android widgets. Programs is a sub-menu available under shortcuts that provides access to the full application list. The same application can appear in both the widgets and program menus. When you add a new application from the Android Market, it is placed in the system “all programs” menu but no indication is given that this is happening (unlike the iPhone example above). It’s up to you to decide which format (shortcut or widget) you’d like for each application on your home screen. However, not all applications have widget states. Not all widget states are the same size and you don’t know what size is available until you decide to place a widget on a home screen. 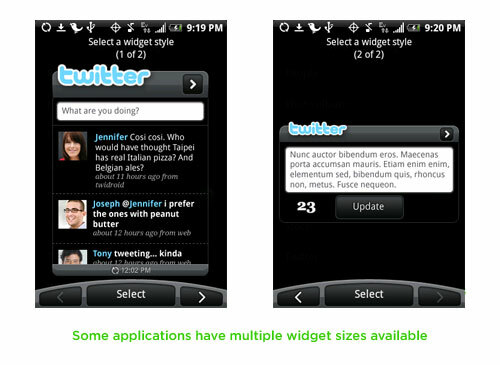 Some applications have multiple widget sizes available that you can select from. Others only have one or none. 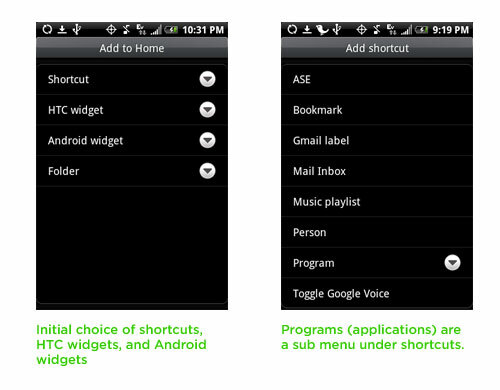 So on Android, applications can reside only in the start menu, as shortcuts, or as widgets of varying sizes. In any of these forms they can run in the background without being open (taking over full display area). While many people tout the flexibility and customization options Android gives people, I can’t help but wonder if the singular model Apple employs makes managing a set of mobile applications easier. Every app is accessed the same way and only open apps are running. Sure this is limiting in some ways (customization options, background processes) but empowering in others (clarity, control) at the same time. If people feel more confident with Apple's simpler customization options, they may actually customize more (add additional apps) as a result.